A down-home blend of reclaimed wood and mismatched furniture add charm to this Stephen Starr smokehouse. Walk up the pathway of the Fishtown barbecue joint and you’ll swear you’ve stumbled on a speakeasy in the deep South. Provenance lent a hand in creating a front porch so authentic, any moonshiner would feel at home. 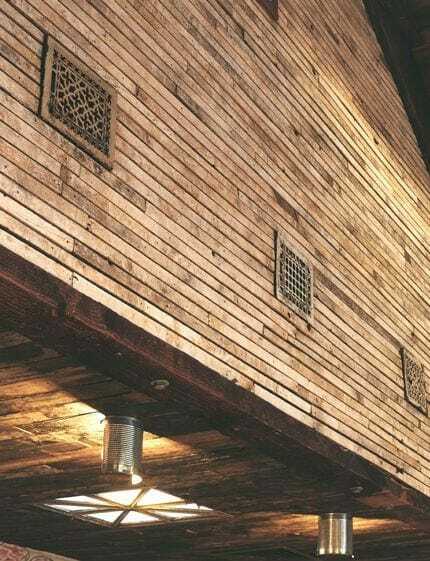 Barn siding with vestiges of yellow paint was sourced from the estate of the late Richard Dietrich II, one of the most renowned collectors of Americana. A corrugated roof shields those sipping cocktails from sun. Provenance also milled reclaimed yellow pine into flooring that’s artfully scuffed. 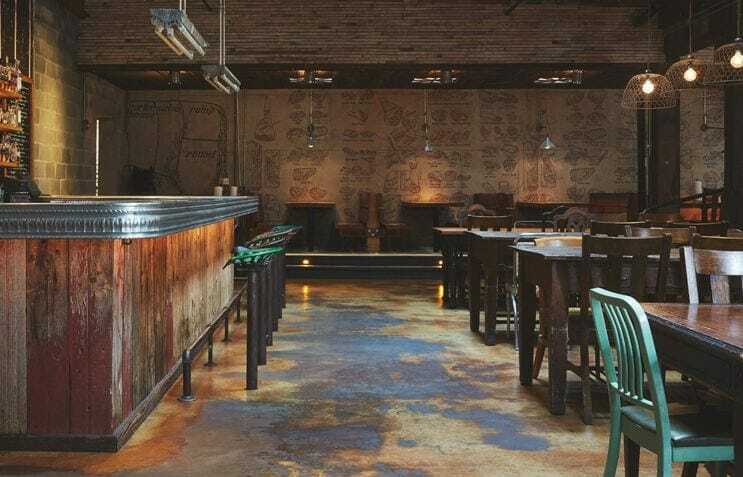 Provenance’s details appear from floor-to-ceiling inside as well. 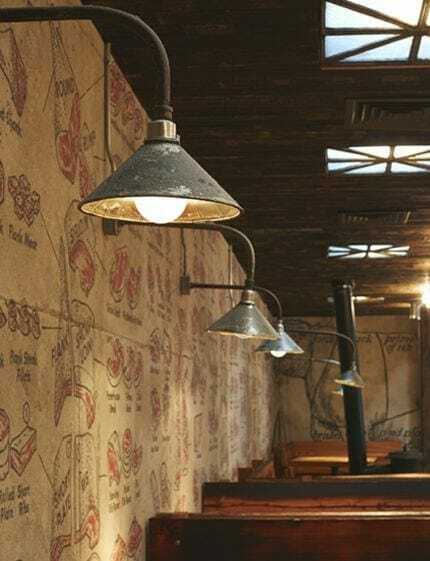 Customers place orders for dry-rubbed brisket and buttermilk cornbread at a countertop made with Independence Mall marble and industrial pendant lighting casts a glow on crowded booths. 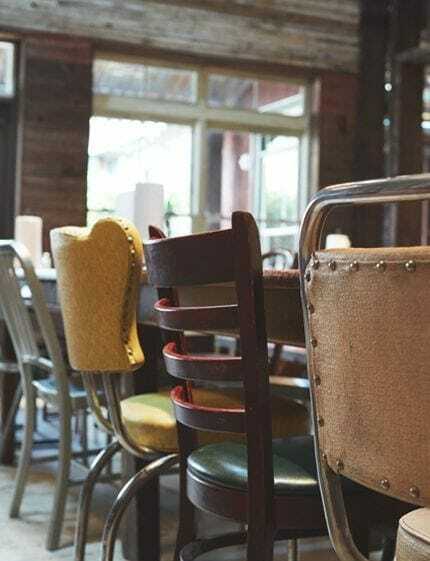 Whitewashed lath dotted with vintage heat registers soars high above the dining room and mismatched chairs and tables from schools, churches, and libraries are scattered throughout the space. Vintage subway tile and barn siding accent the bar laden with countless bottles of bourbon and whiskey.